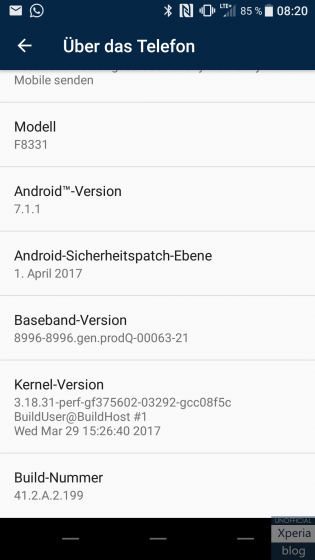 The first Sony Android 7.1.1 Nougat build is now available for download via OTA and from Sony’s official servers as full FTF firmware packages. Sony’s new 7.1.1 Nougat update comes with a build number 41.2.A.2.199. The OTA is now rolling out for the two stunning premium phones including Xperia XZ and the Xperia X (Performance). The OTA incorporates the latest April 2017 Security Patch Level from AOSP sources. It also includes app shortcuts similar to the Pixel Launcher and the OnePlus Launcher 2.0. This feature can only be accessed via a compatible launcher. Currently, Xperia Home may not support it. 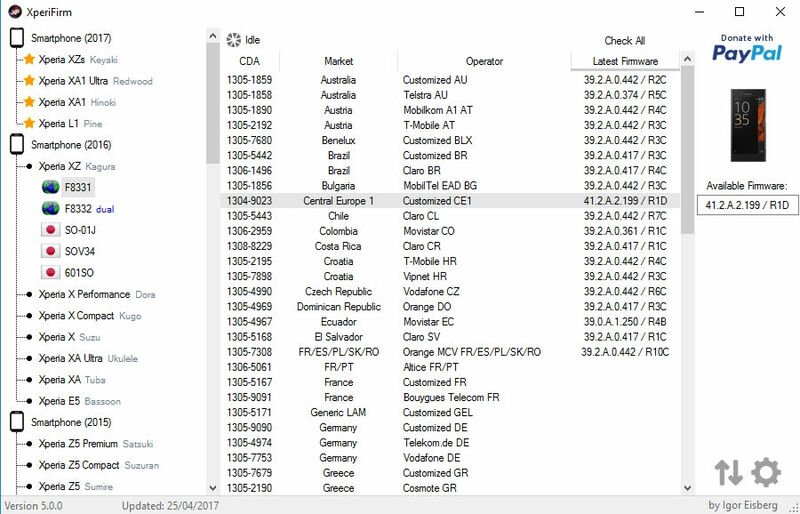 OTA is currently rolling out in Central Europe and will soon begin rolling out in Asia, United States, etc. Earlier we have seen the official Android 7.0 Nougat as well as the 7.1.1 Nougat Concept ROM for many Xperia phones including the Z series and the X series Sony phones. As the new Android 7.1.1. Nougat comes to the Xperia XZ and the X Performance, we are certain that the original Xperia X, Z3, Z4, and Z5 will soon receive an OTA update. The full FTF firmware for Sony device can be downloaded directly from Sony’s servers using the XperiFirm tool. See how to download the complete 7.1.1 Nougat update and install it easily via SP Flash Tool. You may also like to visit out previous update tutorials for Xperia phones.